The Portia and Scarlett Amanda High Neck Evening Dress has a low back cutout which creates a stunning contrast from the high neck of the front. This occasion dress helps create an exaggerated hourglass figure. 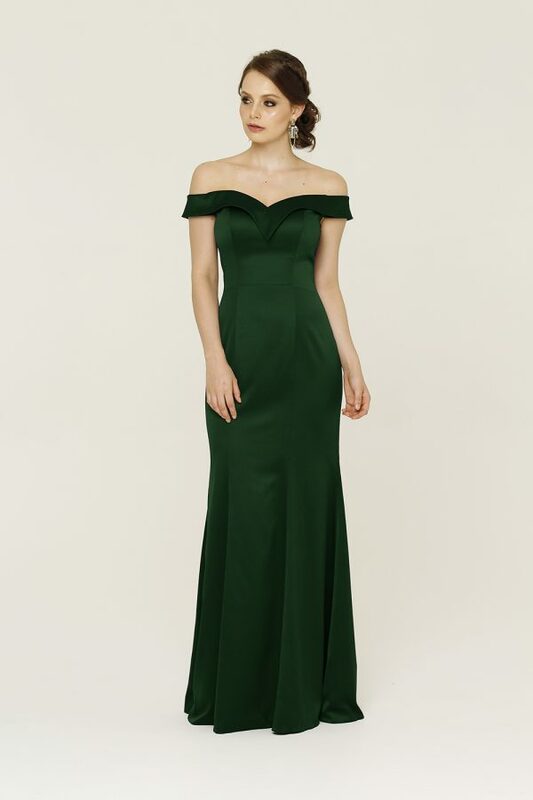 The Portia and Scarlett Amanda High Neck Evening Dress, is a beautiful gown suitable for most formal occasions. The dress features a high neck detail of lace and sequins that create both glitz and dimension. The bodice features a gathered material design that descends into a belted waistband, to create a cinched, structured look. Topped off with a cutout on the back of the dress, and a sturdy invisible zipper, this dress is sure to impress.